Why Are Taxpayer Dollars Still Being Used to Back Solar Loans? Even some leading states are struggling to keep up with the market. Massachusetts just closed a comment period on the forthcoming $30 million Mass Solar Loan program. For at least one player in the solar market, the public comment period was a chance to ask why Massachusetts is spending taxpayer money to back solar loans for qualified individuals. Sungage Financial was an early mover in solar loans and helped neighboring Connecticut administer its solar loan program a few years ago. Connecticut has since exited that business, noting that there is now a mature private market to provide loans for residential solar. But other states are still in the game of providing low-cost loans to people who could otherwise get loans through the private market. 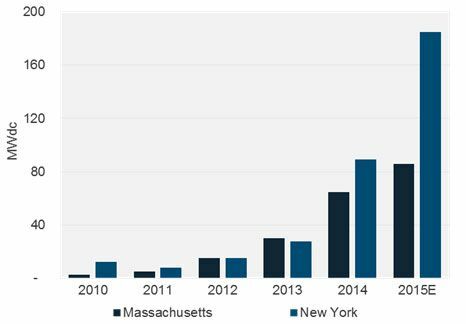 New York and Massachusetts continue to provide the loans even though they are two of the fastest-growing residential solar markets, both of which are well served by the private sector. The states want to encourage consumer choice for solar financial products and expand the market, but some states are struggling to keep up with changing market needs. In fact, Ross’ company provided comments on the Mass Solar Loan last year that made the same point. The money, the comments argued, could be better spent in places such as animating markets for low-income residents. Despite the comment period last year, the Mass Solar Loan program appears not to have taken comments from market players such as Sungage into account. Loans will be available for underserved sectors of the market, such as multi-family buildings, community solar and for moderate-income residents with lower credit scores, but the program will not focus solely on those sectors. It’s not just Massachusetts that is spending tax dollars on backing loans for rooftop solar despite a private market ready and willing to step in and provide financing. Earlier this year, New York extended solar loans as part of its Green Jobs Green New York program. Last year, the program offered nearly $20 million in loans at interest rates below 4 percent. The extension was a last-minute addition to budget deals in Albany, even though program administrator New York State Energy Research and Development Authority (NYSERDA) was ready to let the private market take over. “Since the 2015-16 New York State budget was enacted, NYSERDA has seen progress in the availability of financing for solar projects from private lending companies. NYSERDA continually evaluates and modifies its programs in direct response to these market developments,” a spokesperson for NYSERDA told Greentech Media. The authority is currently looking at how it can best go about animating low-income markets. Although the continued government support for solar loans in Massachusetts and New York are slightly different, both situations bring a measure of uncertainty to the market, which can hurt financial players like Sungage, Mosaic, Dividend Solar and Kilowatt Financial. In Massachusetts in particular, the long lead time prior to launching this program (it was first announced in early 2014) has been a detriment. 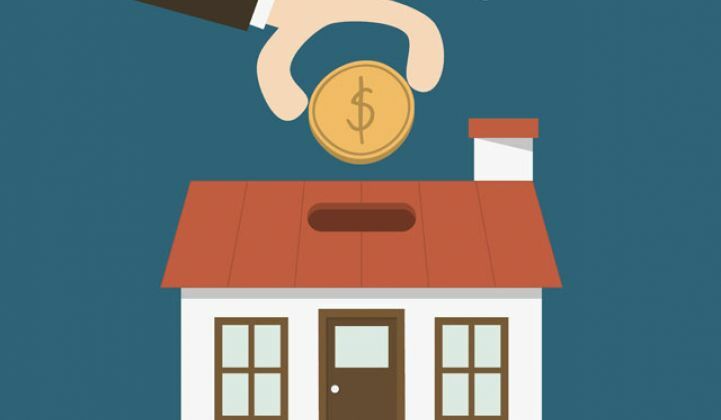 Some homeowners are waiting for it to launch in the hopes of more competitive financing. Installers are waiting on the conditions of the loans and timing to be able to sell it to potential clients. “It just creates a lot of friction in the marketplace,” said Ross. That friction slows down business for everyone from installers to solar financial companies like Sungage. In New York, the extension is only for one year, but it’s possible the same sort of last-minute fix could come again next year to extend the loan program. That is problematic for New York as it looks to overhaul its distribution energy system into a marketplace for grid-edge resources. If the state can’t end a program that already has a mature market behind it on schedule, it could portend the sorts of political fights that may arise as state regulators look to build entirely new markets without completely upending the utility distribution business model as it exists today. In addition to the U.S., other countries are also grappling with determining the proper level of support the public sector should give to increasingly mature renewable energies. The Energy Gang recently discussed the changes in Australia at the federal level to support for wind and solar. The government recently cut several programs, saying that the money was better spent on developing clean technologies. “On the face of it, it does seem reasonable,” said Stephen Lacey. But when you dig a little deeper, he added, the lack of a clear roadmap for which other novel cleantech solutions might get that funding showed that it was more complicated than just pulling away taxpayer dollars as renewable markets mature. On the federal scale in the U.S., there is already an effort to move renewable support into less well-defined and mature areas of the market, including support for solar for underserved portions of the market, including low-income communities and renters. For states that want to animate solar markets, their time and money may be better spent devising programs that address the current state of the market, complement federal efforts, and can be rolled out quickly before the market evolves further. There should also be significant focus on utilities to ensure that ratepayer dollars aren’t going to similar loan programs where the private market is capable of stepping in.